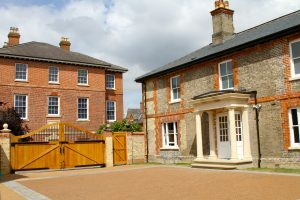 A Newmarket Museum of the Year?? 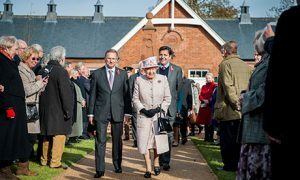 Art Fund has announced that the National Heritage Centre for Horseracing & Sporting Art is one of the five museums which have been selected as finalists for Art Fund Museum of the Year 2017, the world’s largest and most prestigious prize for museums. 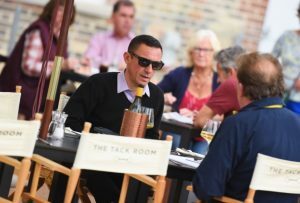 The museums are: The Lapworth Museum of Geology, Birmingham; The National Heritage Centre for Horseracing & Sporting Art, Newmarket; Sir John Soane’s Museum, London; Tate Modern, London; and The Hepworth Wakefield. The announcement was made by Stephen Deuchar, Art Fund’s Director, at an event at the British Museum. It was followed by a discussion about the role of museums with Hartwig Fischer, Director of the British Museum, member of the 2017 jury; Tristram Hunt, Director of the Victoria and Albert Museum, Art Fund Museum of the Year 2016; and Sarah Munro, Director of the Baltic Centre for Contemporary Art. This year’s jury, chaired by Dr Stephen Deuchar CBE, comprises: Professor Richard Deacon CBE; Dr Hartwig Fischer; Munira Mirza; and Jo Whiley. The winning museum, which will receive £100,000, will be announced at a ceremony at the British Museum on Wednesday 5 July 2017. In addition, for the first time this year, the other shortlisted museums will receive £10,000 each in recognition of their achievements. Speaking on behalf of the jury, Stephen Deuchar said: ‘Each of these museums has had a remarkable year, reaching – in a range of ways – new heights in their efforts to serve and inspire their visitors. Whether unveiling new buildings, galleries, displays or public programmes, all the finalists have shown a real commitment to innovation and experimentation, offering fresh perspectives and news ways of seeing and understanding their collections’. “We are thrilled and indeed honoured to have been selected as a finalist for Art Fund Museum of the Year 2017. It is wonderful to be one of just five museums and galleries across the U.K. to have been shortlisted and we are very proud to have been included in the selection. It recognises so much hard work on the part of our fantastic staff, volunteers, Trustees and the many supporters who have put their faith in the project over many years. 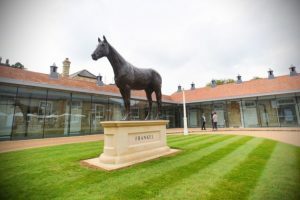 The redevelopment project which has resulted in the creation of a world class tourist attraction in the new National Heritage Centre is transformational for Newmarket and we hope the town will join us in celebrating this magnificent achievement – to reach the shortlist is a very significant accolade in its own right but we would like everyone to visit the National Heritage Centre and contribute to the campaign from now until the end of June to say why they think we should win. This year Art Fund is asking visitors to the five finalists to share their best museum stories, reviews, photos, memories and moments using @artfund #museumoftheyear so please get sharing!